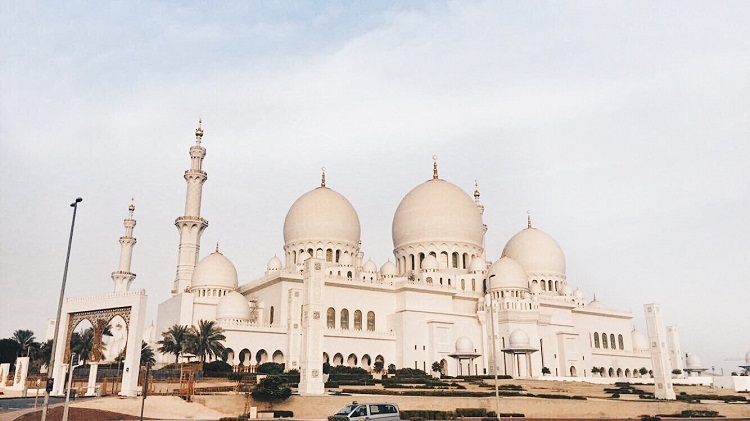 First thing first, lets pretend that I was just in Abu Dhabi yesterday and this post is not six months delayed. I got so busy with life ever since I came home that I could barely turn on my computer and work on gazillions of late posts. Thankfully things are starting to fall into place, I've adjusted to my new job and so far I'm happy with everything that's been going on. Life must go on. August last year, one of my housemates in Dubai celebrated her birthday in Abu Dhabi. It was supposedly just an overnight trip but I ended up staying for another two days. Some of my pre-school and high school friends are currently based there, I haven't seen them for ages so extending for few days would be great to catch up. I always fancy meeting friends in places other than our hometown and I don't think I'm the only one. 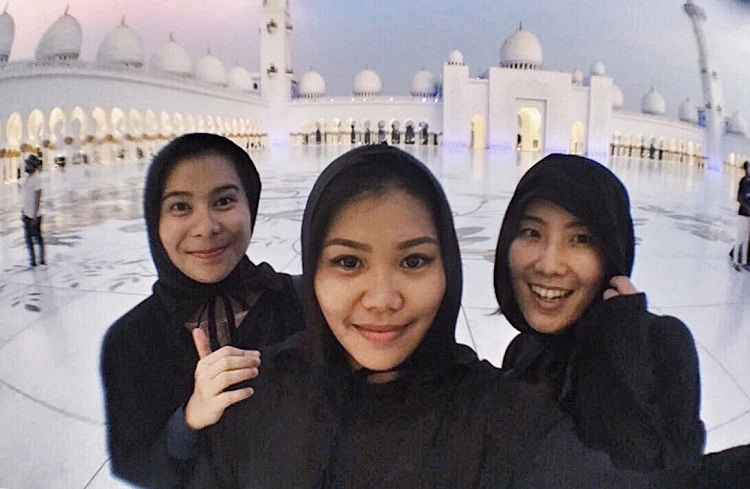 While on a bus to the Grand Mosque, my friend Richelle and I met the solo Japanese traveler, Yuki. She asked us if the bus she's on is going to the mosque. She seems worried she got lost so we told her to tag along since we're also on our way there. Yuki was scheduled to fly back to Japan that night so we just toured the mosque briefly so she won't miss her flight. 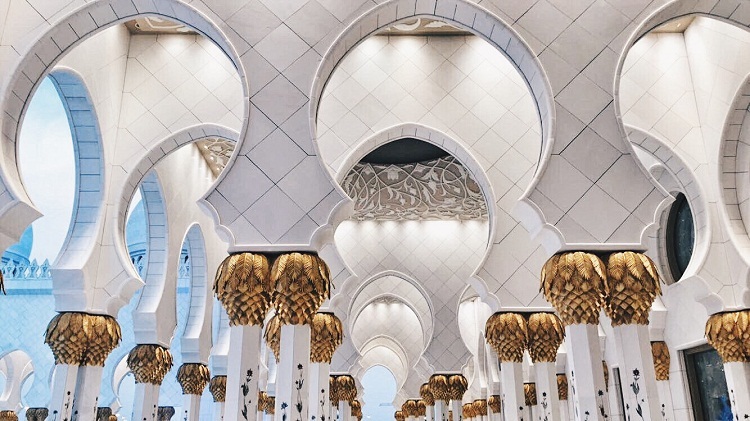 A masterpiece of modern Islamic architecture and design. Wait till you see what's inside. 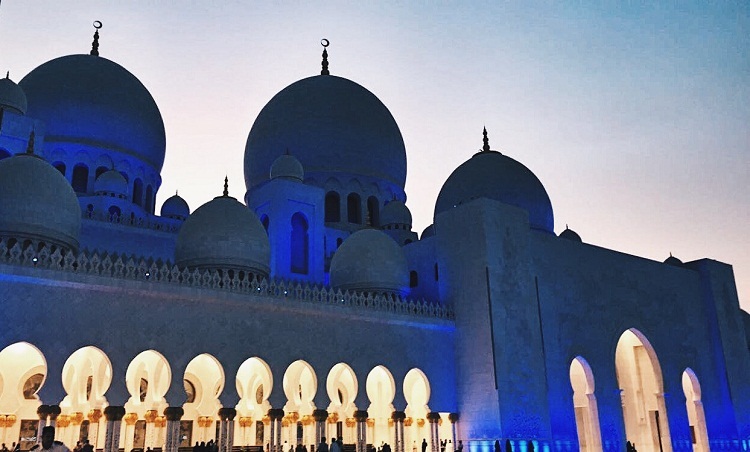 Sheik Zayed Grand Mosque was named after its founder, Sheik Zayed bin Sultan Al Nahyan who's also the first President of UAE. 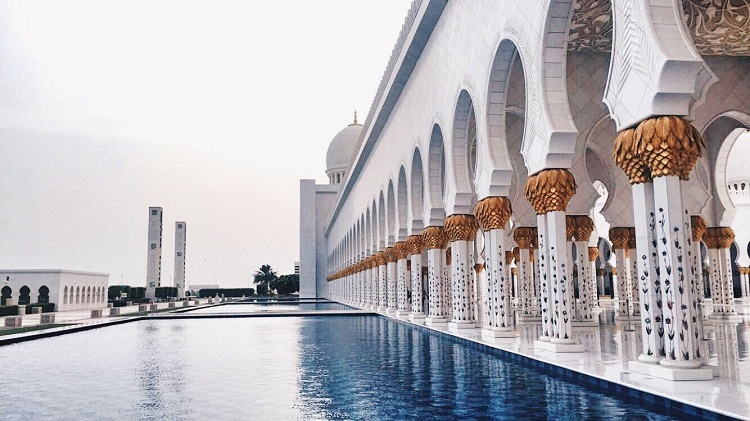 It took nearly 12 years to finish the construction of the Grand Mosque. This work of art is one of the world's largest mosque with a capacity of 40,000 worshipers. Just wow! Before we could enter the prayer halls, we went down to the basement where we borrowed abaya cloaks. They are very particular with the dress code. 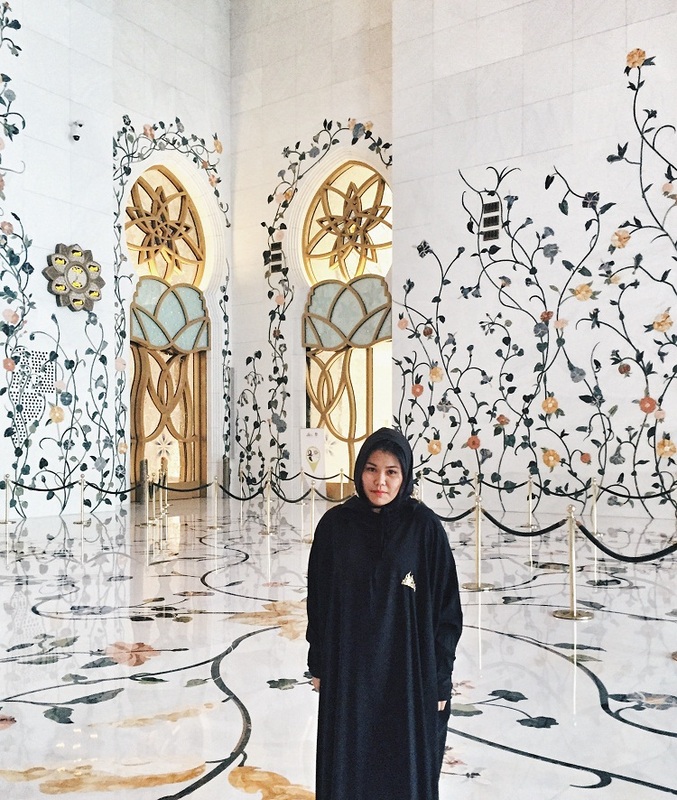 Since it is a place of worship, all women should wear an abaya and shayla (headscarf) upon entering and wearing shorts are not allowed for men. Intimate gestures such as holding hands and kissing are obviously not allowed because again, it is a worship place. 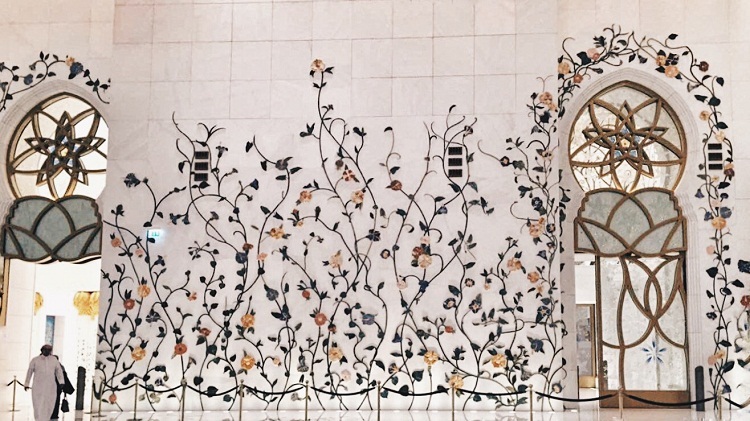 Sheik Zayed bin Sultan Al Nahyan was buried in the courtyard of the mosque named after him. Taking photos of the mausoleum is not allowed, though. Most tourist from asian countries would do the peace or V sign when taking photos. Yuki posed for a photo with her hand in V sign and we were immediately approached by a guard and politely asked us to delete the photos we just took because it is not allowed. At least we were allowed to smile, right? 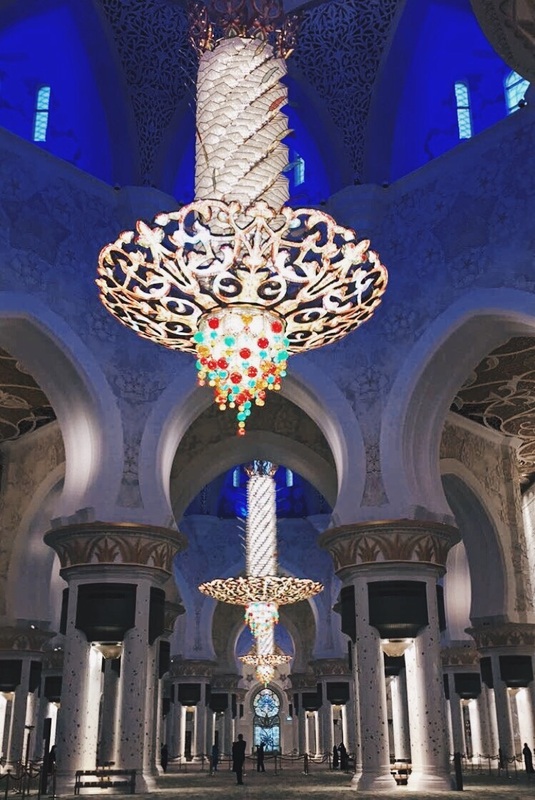 These large chandeliers studded with swarovski cystals are located in the main prayer hall. They weigh approximately 12 tons! The hall houses the world’s largest hand-knotted carpet. The predominantly wool carpet was hand-crafted by approximately 1,200 artisans. The project of creating the carpet took 2 years to finish. Imagine knotting a carpet for an entire year and another year to trim, weave and transport a 5,700 square meter carpet. That must be exhausting AF! 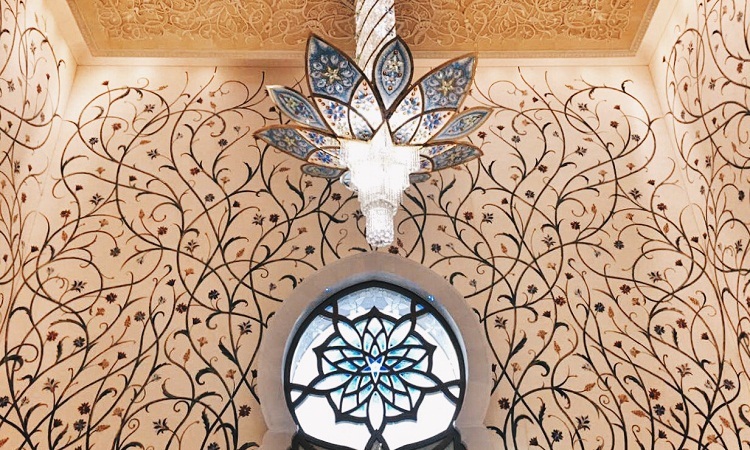 The mosque has this unique lighting system that was designed to reflect the phases of the moon. Each day, the lighting appears to be a little different than the next. As the moon progresses through its cycle and becomes full, the lighting effect becomes more brilliant. I got goosebumps as soon as I entered the mosque, to be honest. I've seen so much love, so much beauty and you'd really feel - if not see the respect people give when visiting such a sacred place. Most people, including me, would jump directly into a conclusion given the fact that we haven't even been to a place. I used to think that UAE is a scary place, that it's dangerous to travel especially for a woman but guess what? It's one of the safest place I have been to in my entire life and I would love to visit again soon.